S-ROCK: Last time we asked you our questionnaire with basic questions, and now we’d like to ask you more about your albums, career, thoughts and so on. First of all your 1st solo album SATIN was out in Japan last month with bonus tracks after CD-R version was sold out through ANDERSTEIN MUSIC, how do you feel about it? You write your little songs, you record your little songs, you mix and master your little songs, you release your little songs and suddenly, BAM; They aren’t little songs anymore. 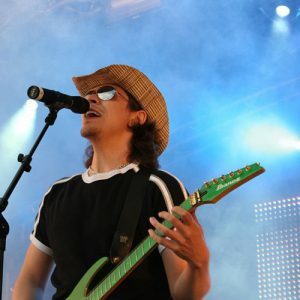 They’re now big songs; being listened to by thousands of people, being played on radio stations across the globe, talked about on podcast, shared on Social Media, getting reviewed by magazines and websites, people now sing along to these songs, party to these songs, they cry to these songs, make love to these songs and people are having personal opinions about those songs. Knowing that there is someone who resides in a country with a 7 hours time difference who believe there is a marked there for these songs as a product, it makes you, not only very happy, but very proud! S-ROCK: I heard ANDERSTEIN MUSIC suggested you to change the artwork of Japanese release of SATIN album, but you didn’t like the idea. You just wanted to stay your photo to show you’re an solo artist? The verses and pre-ref was written last year and the chorus and the bridge(after the solo) was written when I was 14 years old. The lyrics in the chorus sounds like a kids rhyme. The story is that I was nervous about an upcoming gig. As I sat out on my porch one night, I looked up at the sky and gazed at the stars. I saw a star that had a multicolor twinkle and I locked my eyes to only that star. Every night I “talked” to the star and was, in a weird way, asking it to “help” me through the gig. The gig went amazingly well and topped everything prior. I knew that this star didn’t do anything to that situation, but I liked the idea of it and wrote a song around it. Every winter when this star comes around up here in Norway, I smile when I see it. This song could easily have been on the first album. It was the first song completed for this album. It has a little Desmond Child modulation vibe going on in the verses, but he is also one of my all time favorite songwriters so, to me, that can’t be a bad thing. I also like the background “canon-vocals” in the chorus. It gives it a surprise twist to it. This song is near and dear. It has gone through countless revisions and I’m really happy how turned out. Lyrically, it’s about the age old “Doing What You Think Others Would Like You To Do” and, of course, you get burned. The one you’re actually waiting for, is yourself. This one will bring you right back to the early 80’s. I wrote this song when I was fourteen, but the lyrics have been rewritten. It’s based on that one riff that plays as the intro, the verse and the chorus. Again a reworked song from my early years. It’s about jealousy. When you first realize, after the fact, that what you had was right and she has moved on. I’d probably call this a “modern 80’s rocker”. Oh wow! I love this one. The first draft of this song was done in 1998. I gave it a new chorus and rewrote some of the lyrics. I performed an acoustic version of this song with my brother back in 1998 at ‘The National Championship Of Rock’ in Norway. With just two acoustic guitars, we competed against everything from ‘7 piece bands’ and artists with dancers etc. We placed 2nd. One of the judges told us that “they couldn’t give us first place, because the winner had to go on a little tour and two guys with acoustic guitars wasn’t enough, they need a band. But we should consider ourselves the winners“. The song was then left in a drawer for 18 years until I took it out and worked a little on it for this album. This song was written a long time ago. The bridge was actually the chorus at first. It’s a very catchy and upbeat song, and in true Satin-style. This song was intended for my debut album. When it didn’t make that album, I was determined to use it on the next one. I love the energy of it and I was really in doubt of my decision-making when I took it out of the tracklisting. A song written in 2001. Great uptempo song with a catchy chorus. There’s no hocus-pocus with this one and it runs from start to end effortlessly. Lyrically, it touches on the subject of low self-esteem. When you feel like you blend in with those people that doesn’t try to make their mark. They all probably do, but it’s difficult for them. Intro-riff dates back to 2004, but the verse, chorus and bridge is new. 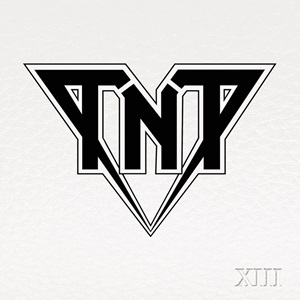 As with “It’s Unbelievable“, this is only available on the Japan-release of this album. S-ROCK: When you make music, music comes first or lyrics come first? And what gives your inspiration and ideas for your music? 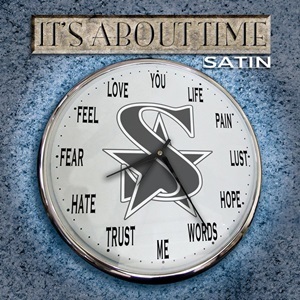 Satin: Nine out of ten times, the music comes first. When I get a melody in my head, I NEVER change the melody to get a lyric “to fit”. I’d rather use months to find a line that works with the original melody. When I come up with a melody, I believe there’s a reason that I came up with THAT exact melody. I won’t alter it at any cost! Inspirations and ideas can come from anything and everything. A baby crying on the train can trigger a melody, dropping a fork on the floor can set the beat of a song and overhearing a conversation at McDonald’s can trigger lyric ideas. The “antennas” are out even though they don’t show. S-ROCK: You play all instruments for your solo work, you have any plan to do gigs in the future? When you do, you’ll hire musicians to play for your gigs or you’ll sing with backing tracks? 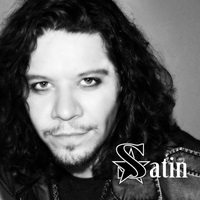 Satin: People want me to play and I have also gotten many inquiries from other musicians to be in a band with me. We’ll see what happens, but as of now, there’s no plan for gigging this project. I would definitely hire musicians to help me out live, if it came to that. I’m pretty much against backing tracks. Why try to sound like the CD while on stage? I like it when there is a “live” version and a “studio” version of a song. If you see people enjoying themselves and singing along to a song, play the chorus again, make them sing it. If the guitar player is jamming and ripping on the solo, prolong the solo and let him continue to excel. You read the crowd and you sense the room. You and the audience feed of each others energy. If you have a computer in charge of the music, you’re done when the computer says you’re done. Of course you can program computers to fit your set, but I don’t see the need for it. 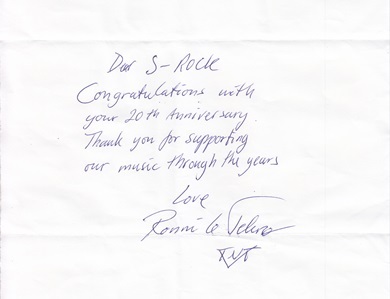 S-ROCK: On the back cover of booklet of IT’S ABOUT TIME there’s your message: Thank You For Getting Your Hands “Dirty” By Holding This Album. What did you want your fans to find from the message? Satin: In Europe, especially in Scandinavia, people don’t buy CDs anymore. They mainly use Spotify, Tidal and Apple Music. It’s just some of the older generation that still buys physical products. But, their kids and grandkids are teaching them the digital world, so there is less and less of them too. And it is definitely spreading. So I truly, madly, deeply thank the ones that are actually holding that album physically in their hands. They have supported me and my music proper. The track “Anyway” is on this album. 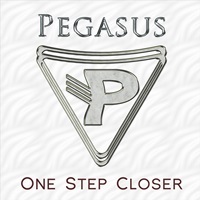 S-ROCK: Would you tell us about the band PEGASUS, you play with your brother Ronny. You guys won Spellemannprisen in 2012 and participated in MELODI GRAND PRIX with the song “Anyway” in 2016. 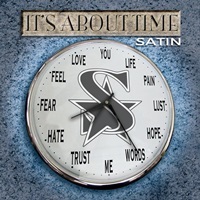 Satin: We started Pegasus, a light country rock band, back in 2006 and have, to this day, released 11 studio albums. At this time, we are working on some new music.. Yes, we won a ‘Spellemannpris(Norwegian Grammy) for ‘Album Of The Year’ in our respective category. ‘Melodi Grand Prix’(MGP) was really cool to to be a part of. Wig Wam has participated twice here in Norway, and the likes of H.E.A.T and Eclipse have participated in the Swedish version of that show. Almost 1/3 of Norway was watching it that evening. 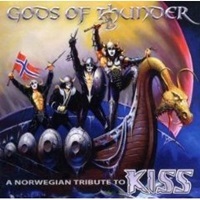 S-ROCK: On the album “GODS OF THUNDER: A NORWEGIAN TRIBUTE TO KISS” you play “The Magic Kiss Medley”. You didn’t play 1 track, you couldn’t choose one? Or you just prefer a medley? Satin: Back in 2004, after not sleeping for a couple of days, I sat with my guitar in my lap just strumming. I started noodling and mumbling a KISS song. I suddenly realized that I was playing one song on the guitar and singing another, and they fit perfectly. Are there other KISS songs I can “mashup?” Hell, yeah- there were. 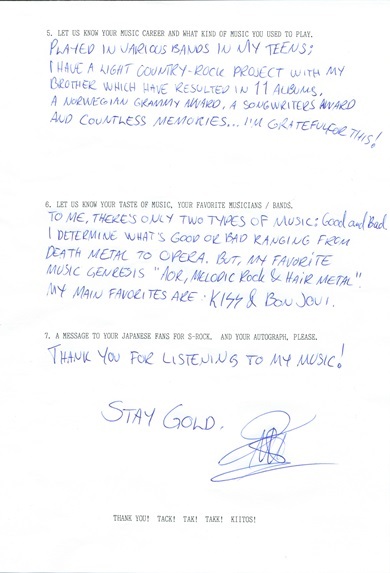 S-ROCK: You always write “Stay Gold, S*” in the end of your messages, what does “Stay Gold” mean for you? Satin: As the saying goes: “Everybody is worth their weight in gold!” I like that. Gold represents the best, it’s number 1, the winner !!! “You’re the best, you’re a good person and you’re worth your weight in Gold! Try to stay that way, don’t change”. S-ROCK: Would you let us know about your artist logo combined S and a star. S is probably from Satin, and a star means “a star” as a famous person? And why did you choose “Satin” as your solo artist name? The star you looked at will always shine for you’. It’s like a little kid’s rhyme. But, as mentioned, I was fourteen years old when I wrote it. So the S symbolizes me (Satin) and the star symbolizes “Made my dream come true”. Satin was a band name that I came up with when I was 17 or 18. I never got the chance to use it until this solo project came along. S-ROCK: Your all-the-time favorite bands are KISS and BON JOVI (right? ), how do those AOR/HR bands inspire you? Which track(s) of each band is/are your favorite(s)? 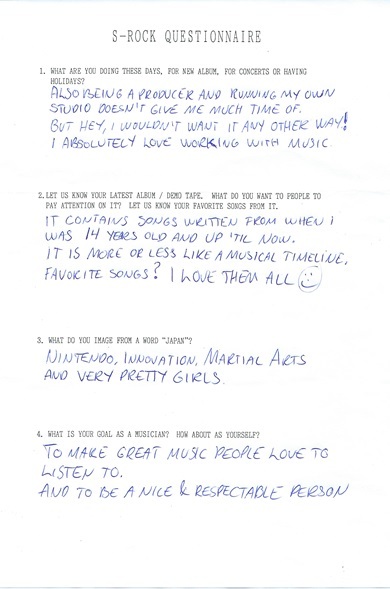 Satin: I became a fan of both KISS and BON JOVI at the age of 6. And from that moment on, they have given and done so much for me over time that they have become a part of my DNA, so to speak. It’s very hard for me to even pick a favorite decade, for that matter, so to pick out songs? Completely impossible! 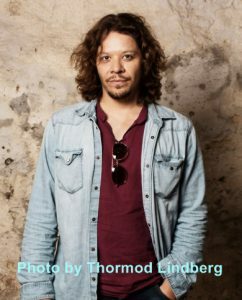 S-ROCK: What do you think about music scene in Norway these days? Japan is 1 of few countries where people prefer CDs to streaming/music files. And for even popular artists who used to sell millions in 80’s/90’s it’s really hard to sell more than even100000 copies. In Japan gold album should have sales of 100000 copies (for both domestic/international artists bands since 2003). S-ROCK: Is there any future plan which is confirmed so far? Already started writing new materials for your solo work? Satin: Yes, I do have a couple of songs in the works and they really sound amazing. I’m looking forward to begin shaping them production wise. 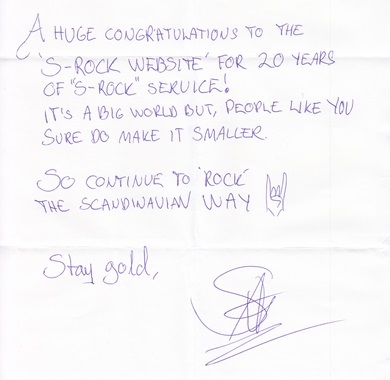 S-ROCK: Would you give a message to your Japanese fans who visit S-ROCK site? Tusen takk! Satin: Hey guys and girls! Thank you for stopping by and reading through this interview, really appreciate it!